Emergency hospital consultants in Wales have written to the first minister claiming safety is being compromised "to an unacceptable degree". The group said they recognised funding constraints but said both NHS Wales and the social care sector were "severely and chronically under-resourced". December figures show the lowest level of A&E performance since March 2016 but attendances were 5.4% higher than 2017. The Welsh Government said it had been "open" about the challenges of winter. Reality Check: Is NHS funding worse in Wales? The letter follows a similar one written by mostly English hospital consultants to Prime Minister Theresa May last week. It said it did not dispute the effort that had gone into winter planning but "unfortunately our experience from the clinical front line is that these plans have fallen well short of what was required to maintain adequate care for our patients". The letter from the consultants in Wales goes on to say: "We have neither sufficient staff nor sufficient beds (in either acute hospitals or the community) to cope with the needs of an ageing population." They said emergency departments in Wales were "in some ways" worse than in England. Examples given include staff arriving for work to find patients in the emergency department who were there the previous day and "multiple" staff in tears because they feel they cannot deliver the care patients need. The consultants also claimed the four-hour target figures for best performing hospitals in Wales were "similar to some of our worst performing hospitals in England". However, official figures show there a number of trusts in England which perform worse than Wales' best performing hospitals. There is a significant variation between the best and worst within Wales - with Morriston in Swansea consistently the worst with only 60% of A&E patients seen within fours; Wrexham Maelor is not far behind on 62.1%. Of the best performing, the University Hospital of Wales in Cardiff has slightly improved year-on-year with 81.1% seen within four hours; Prince Charles in Merthyr is the best of the major A&E departments on 82.3%. 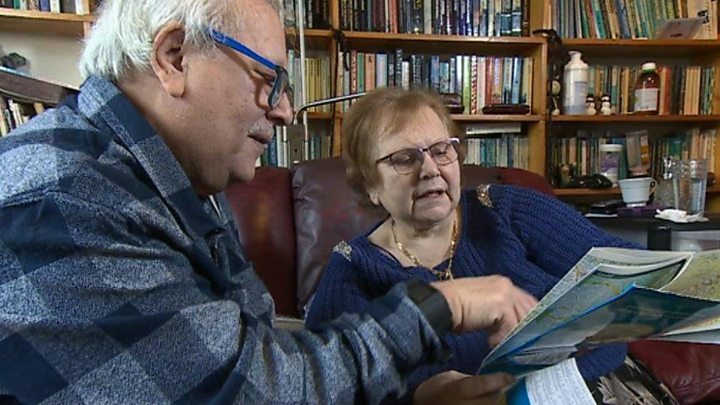 Retired nurse Ann Steward's late husband, Edward, spent four days on a trolley at Cardiff's University Hospital of Wales. The 81-year-old was in the last stages of oesophageal cancer and was admitted in October 2017 after he started haemorrhaging. "He was on a trolley from midday on the Wednesday until early afternoon on the Saturday. "About 85% of patients with oesophageal cancer actually die of haemorrhaging and that was my great fear. It was terrible. "As soon as they started to give him the blood transfusion it spurted out over the floor and over the food trolley. My daughter Sian cleaned the food trolley herself. No-one came to clean it. "He cried on the Friday because he was in so much pain. He couldn't move. To see your husband of 60 years crying like that was so upsetting for all of us." She said Mr Steward was only given a bed on the Saturday after asking again for one and he was discharged the following Wednesday before being admitted to a hospice where he died on 2 January. "I feel it's so sad to see that things have deteriorated so badly within nursing itself that it's come to the stage it is at the moment," she added. A spokesman for Cardiff and Vale University Health Board said the family could contact the health board to discuss any concerns. One of the signatories, Dr Tim Rogerson, a consultant in emergency medicine at Newport's Royal Gwent Hospital said about the picture across Wales: "We're on our knees as far as emergency care [is concerned]. "We have patients coming into emergency departments that are already full. "There's good evidence that if patients are seen in emergency departments which are crowded, that are full, their treatment is delayed. "That can actually cause an increase in the length of stay, it can make their illness more severe and in some cases it can cause death, so for safety and patient care we're very, very worried." The consultants' letter calls on First Minister Carwyn Jones to address issues "as a matter of urgency", including reviewing the number of beds available for acute care and a "significant increase" in funding for social care. Health Secretary Vaughan Gething said: "Despite the busiest December on record for our A&E departments and the busiest ever month for the Welsh Ambulance Service, our NHS has continued to perform under exceptional pressure in delivering emergency and scheduled care." He said the ambulance target was "comfortably achieved" in December. Winter pressures: What about my area? NHS Wales chief executive Dr Andrew Goodall and Mr Gething have already apologised for postponed routine operations due to "exceptional" demand. On patient care, Dr Goodhall said: "I think there will be times when the patients are not receiving the care or the access that we would want to move them through the system and it is absolutely true that there will have been some very difficult shifts and periods for staff." Patterns have been difficult to estimate with increases in demand at different times to those seen last winter. The ambulance service saw a rise of almost 50% in the number of red calls it attended on New Year's Eve and out of hours services were 30% busier on some days. NHS Wales said it had freed up an extra 400 beds over the winter - the equivalent of a new hospital. But Dr David Bailey, chairman of the British Medical Association in Wales, said the lack of spare capacity in hospitals was an issue. "We get issues with flu every year and more people get sick in winter every year. None of these are unexpected but we need more capacity. "The problem is the NHS is not really set up to cope with spikes in demands and every spike takes three times longer to recover from." 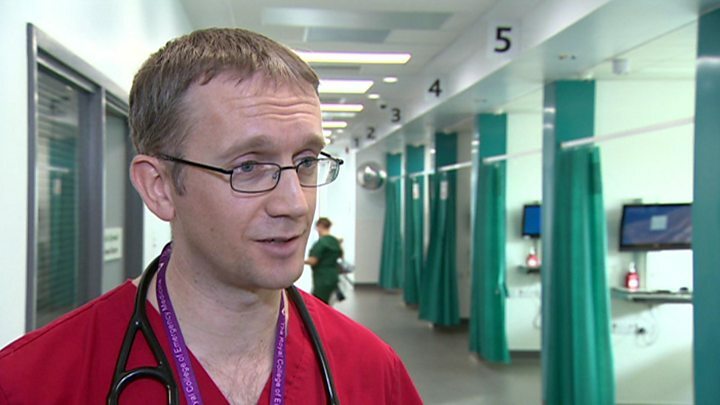 Dr Graham Shortland, medical director at Cardiff's University Hospital of Wales, said the key was managing patient flow. "Can we reduce demand through the front door? Can we process patients more quickly in this department? "Can we move them on to the ward and ultimately move them back quickly, home or to the care of their family?" But the Welsh Government said it had provided funding to help ease the problems this winter. 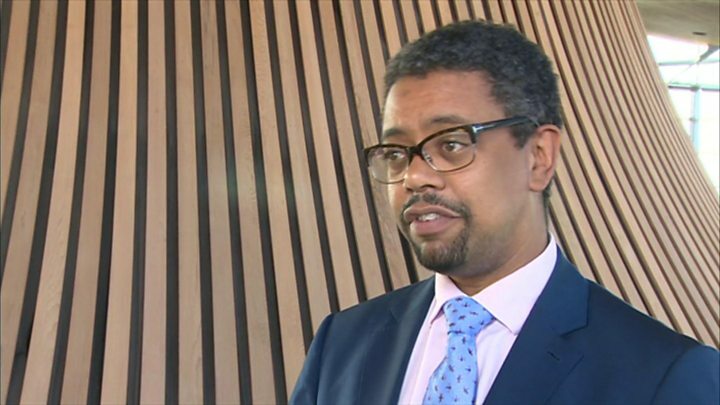 "NHS Wales' organisations have been planning for the winter period for some months supported by £50m funding from us to help them balance emergency and planned activity," a Welsh Government spokesman said. "Despite cuts to our overall budget we have continued to protect spending on health and social services. Health spending per person grew by 5% in Wales in 2016-17. This is the fastest growth of the four UK countries."